Should you have any legal concerns or questions regarding New York Landlord Tenant Laws, we highly recommend that you consult with a qualified attorney. Many local and state bar associations have referral services that can assist you in locating an attorney. For any information concerning this article or anything related to our services, please visit our website at American Apartment Owners Association. Stay up to date on New York Landlord Tenant Laws + Save money on tenant screening and other property management needs. Join AAOA today, it’s FREE! Security Deposit Maximum: No statutorily designated limit on security deposits in non-regulated units. However, residents in New York City, and in rent controlled / rent stabilized apartments throughout the state, should check their local and county laws to determine whether there are local regulations concerning security deposit limits. Security Deposit Interest: If the rental property contains six or more units, a landlord is required to keep the deposit in a New York interest bearing bank account and collect interest on behalf of the tenant. NY GOL §§ 7-103(2-a). Deadline for Returning Security Deposit: Landlord must return a tenant’s security deposit within a “reasonable time” after the tenant has surrendered the rental property to the landlord (i.e. returned the keys and vacated the apartment). NY GOL §§ 7-103 to 7-108. The term “reasonable” is interrupted different throughout the different small claims courts in New York. Generally speaking, a “reasonable” time period would most likely be anywhere from 21 to 45 days. Record Keeping of Deposit Withholdings: If a landlord puts the security deposit in a bank, the landlord is required to disclose the name and address of that financial institution, and the amount of the security deposit. NY GOL §§ 7-103 to 7-108. Receipt of Deposit: After a security deposit has been placed into a financial institution, the landlord must notify the tenant in writing. NY GOL §§ 7-103 to 7-108. Transfer of Property Ownership: Deposit must be transferred within five days of property transfer. Landlord must notify tenant by registered or certified mail of the name and address of the new owner. NY GOL §§ 7-105. Lease Provisions: Leases must use words with common and everyday meanings and must be clear and coherent. NY GOL § 5-702. Renewal Leases: A tenant may only renew the lease with the consent of the landlord and may be subject to eviction at the end of the lease term. However, a lease may contain an automatic renewal clause. NY GOL § 5-905. Month to Month Tenants: A landlord may raise the rent of a month-to-month tenant with the consent of the tenant. If the tenant does not consent, however, the landlord can terminate the tenancy by giving appropriate notice. NY RPL § 232-a and § 232-b. Apartment Sharing: It is unlawful for a landlord to restrict occupancy of an apartment to the named tenant in the lease or to that tenant and immediate family. Landlords may limit the total number of people living in an apartment to comply with legal overcrowding standards. NY RPL § 235-f. Lease Violation for Victims of Domestic Violence: A tenant shielded by a court order of protection is permitted, on ten days’ notice to the landlord, to seek a court order terminating the lease, and will be released from any further rental payments after the lease is terminated. NY RPL § 227-c.
Eviction: A tenant with a lease is protected from eviction during the lease period so long as the tenant does not violate any substantial provision of the lease or any local housing laws or codes. For both regulated and unregulated apartments, landlords must give formal notice of their intention to obtain legal possession of the apartment. Unless the tenant vacates the premises by a specified date, the landlord may commence eviction proceedings. NY RPAPL § 711. Retaliation: Landlord may not terminate or refuse to renew a lease to a tenant who has filed an official complaint to a Government Authority, been involved in a tenant’s organization, or exercised a legal right. Courts will assume “retaliation” by landlord if negative action is taken on the tenant within six months after any of the prior tenant actions. NY RPL §§ 223-b. A landlord who seeks to enforce such a fee, penalty or charge against a tenant because such tenant files a bona fide complaint with a building code officer regarding the condition shall be liable to the tenant for triple the amount of such fee, penalty or charge. NY RPL §§ 223-b(5a). Notice to Terminate Tenancy (Fixed End Date in Lease): No notice is needed to terminate a lease with a definite term. NY RPL §§ 232-b. Notice to Terminate Tenancy (Month to Month Lease): One month. NY RPL §§ 232-b. In NYC, 30 days. NY RPL §§ 232-a. Notice of Termination of Lease for Nonpayment: 10 days to remedy or quit. 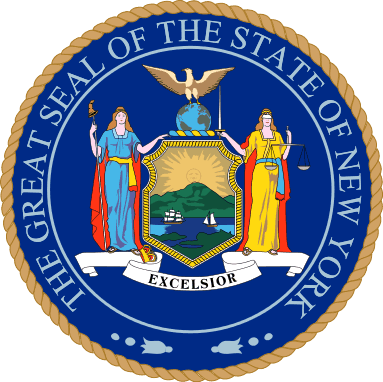 NY RPL §§ 751(1)). Notice of Termination for Lease Violation: 10 days to remedy or quit. NY RPL §§ 753(4). Required Notice before Entry: No Statute. We recommend at least 24 hours notice. Entry Allowed with Notice for Showings: No Statute. We recommend at least 24 hours notice. Warranty of Habitability: Tenants have the right to a livable, safe and sanitary apartment. This is a right that is implied in every written or oral residential lease. Any lease provision that waives this right is contrary to public policy and is therefore void. NY RPL §235-b. Landlords’ Duty of Repair: Landlords of multiple dwellings must keep the apartments and the building’s public areas in “good repair” and clean and free of vermin, garbage or other offensive material. Landlords are required to maintain electrical, plumbing, sanitary, heating and ventilating systems and appliances landlords install, such as refrigerators and stoves, in good and safe working order. NY MDW §78 and §80; NY MRL §174. Entrance Door Locks and Intercoms: Multiple dwellings which were built or converted to such use after January 1, 1968 must have automatic self-closing and self-locking doors at all entrances. These doors must be kept locked at all times, except when an attendant is on duty. MDL § 50-a. Heating. Heat must be supplied from October 1 through May 31 to tenants in multiple dwellings. If the outdoor temperature falls below 55°F between the hours of six a.m. and ten p.m., each apartment must be heated to a temperature of at least 68°F. If the outdoor temperature falls below 40°F between the hours of ten p.m. and six a.m., each apartment must be heated to a temperature of at least 55°F. NY MDL § 79; NY MRL § 173. Hot Water: Landlords must provide all tenants of multiple dwellings with both hot and cold water. Hot water must register at or above a constant temperature of 120 degrees at the tap. If a tub or shower is equipped with an anti-scald valve that prevents the hot water temperature from exceeding 120 degrees, the minimum hot water temperature for that tub or shower is 110 degrees. NY MDL § 75; NY MRL § 170. Landlord Disclosure: No statewide statute, but in New York City a landlord who asks for application information from a tenant shall disclose whether or not the application information will be used to obtain a tenant screening report. NYC ADC § 20-808. Notice: A landlord requesting application information from a prospective tenant shall post a sign in a visible location to tenants at the place where the principal purpose of business relates to the rental of residential properties. The sign shall contain the name and address of all consumer reporting agencies used. NYC ADC § 20-809(a). Tenant’s Rights: The sign shall also state that tenants are entitled to one free report annually from each consumer reporting agency. NY ADC § 20-809(a). Violations: A landlord in violation of the disclosure and notice requirements shall be liable for a civil penalty of up to $250 for the first violation. NYC ADC § 20-810. * For further information on New York Tenant Screening and the services we provide, please visit us at AAOA – New York Tenant Screening. New York Small Claims Court Limits: Individuals can sue for money only, up to $3,000 in Town or Village Courts, and $5,000 in City Courts, without a lawyer. If you have a claim for damages for more than $3,000/5,000 you cannot separate it into two or more claims to meet the $3,000/5,000 limit. New York Unified Court System. The American Apartment Owners Association specializing in providing detailed tenant screening background checks for New York landlords and tenants. Besides offering tenant screening reports, we also provide an extensive article database on proper tenant screening methods and tips. For additional information on New York Tenant Screening Background Checks click here. All states require a variety of forms to rent an apartment to a tenant and New York is no exception. Check out American Apartment Owners Association’s New York Landlord Forms now. Looking for landlord tenant laws outside of New York? The American Apartment Owners Association offers helpful landlord tenant laws for all 50 states. Click on any of the states listed below and go directly to its landlord tenant law page. To visit the homepage of landlord tenant laws, click here.